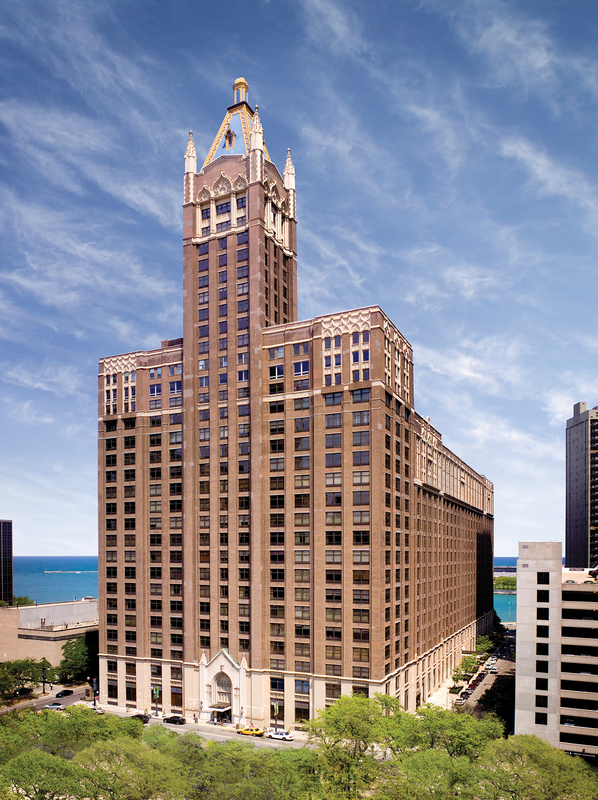 The Chicago-based global real estate firm, whose portfolio includes some of the city’s iconic buildings, is anticipating growth and change as the third generation prepares to take the reins. The family, which owns and operates Golub & Company, an international real estate development and investment firm based in Chicago, has not always been so strategic about preparing the next generation for the business. After a smooth but casual transition from the first generation to the second 20 years ago, the family now has active and significant participation from third-generation members and is laying the groundwork for an eventual transition to the third generation. Gene Golub, now 88, and his original partner founded the firm in 1960, when they were both 30 years old. In a business that depends heavily on developing long-term, trusting relationships, they made their first connections with the help of a neighbor, an attorney who worked with developers. Then they got their first loan with a handshake from a banker who liked both the partners and the property they had found on Lake Shore Drive. “From then on, he was our banker,” Gene says. From there, they were able to successfully develop high-rise residential and office buildings. In 1982, sensing that his family would be interested in continuing the business, Gene bought out his partner, and the firm became Golub & Company. The company grew and became an international real estate presence. Golub and its affiliates have developed, owned, leased or managed more than 50 million square feet of commercial and residential mixed-use properties. Golub currently has about $4 billion of assets under management and is developing projects from West Palm Beach, Fla., to San Francisco — as well as in Central Europe. Still, its roots are in Chicago. That’s where its corporate office, with about 50 employees, is located. (The company usually employs between 80 and 110 people worldwide, depending on which projects are active.) The firm has owned and managed properties in Chicago’s premier commercial district, the Magnificent Mile, throughout its history. In 2007, Golub & Co. led the acquisition of Chicago’s John Hancock Building, and in 2016, Golub and partners acquired the Tribune Tower. The firm is working on a development plan that will enhance the existing building and add a mixed-use high-rise tower. Eight family members work in the business. Gene is chairman and founder. 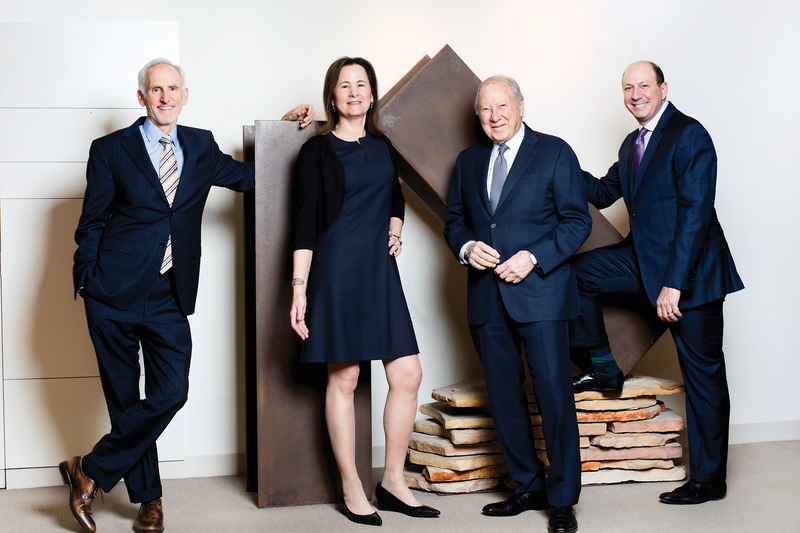 Three members of the second generation run the company: Gene’s son-in-law Michael Newman, 63, principal, president & CEO; his son, Lee Golub, 57, principal and executive vice president; and his daughter Paula Harris, 63, principal and senior vice president. Four third-generation members have joined the company in recent years: Harris’s daughter Samantha Patinkin, 33, human resources manager; Michael Newman’s son Alex Newman, 33, asset manager; Michael Newman’s daughter Laura Newman, 30, associate; and Joshua Patinkin, 34, Harris’s son-in-law and vice president of capital resources. The company’s governance remains fairly casual. They are aided by a board of directors that consists of four family members — Gene and the three second-generation members — as well as three independent directors: Lloyd Shefsky, a consultant and a retired professor at the Kellogg School of Management; John McClure, a former executive with the Northern Trust Co. who has worked with many multigenerational family businesses; and Robert Langer, a retired Ernst & Young partner who headed the real estate practice in the Chicago area. Third-generation members have recently started to attend and participate in the discussions. The transition from the first generation to the second happened organically. Paula was the first family member to work at the business, as a part-time worker during high school. “I started out checking serial numbers in refrigerators and measuring the amount of linear cracking in a development we had just purchased. Not a very glamorous job, by any stretch,” Paula says. She joined the business full-time after graduating from college as a closing coordinator for condominium sales, then left for a few years after having her first child in 1985. Around that time, her brother-in-law and brother joined the company. Michael came to Golub as a financial analyst after having worked as a CPA in a public accounting firm, as well as for a real estate finance company. It took some time for Michael and Lee, who joined as a commercial leasing broker, to find their place among more experienced employees. “There was no planning or discussion around integrating family, business and all team members,” Michael says. As the working family members gained experience and started producing at a high level, they recruited new employees to join the team. The employees soon realized that having a forward-thinking new generation of family members interested in growing the business was good news for everyone, since it meant the business would continue. 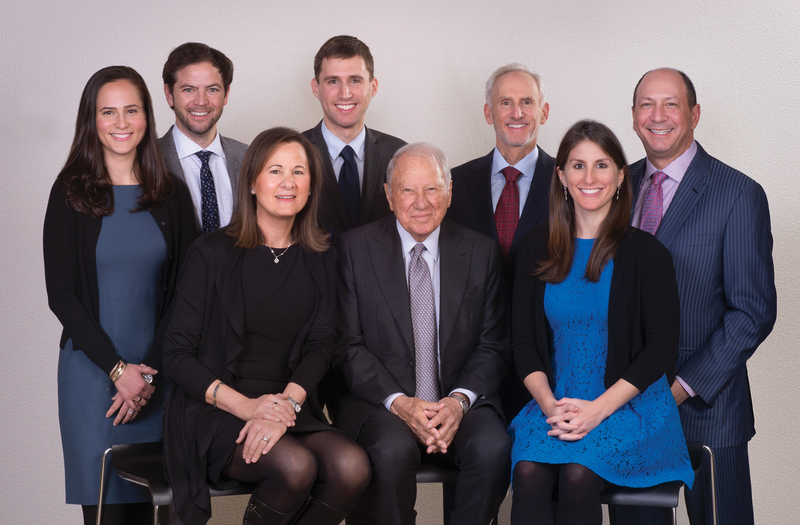 After gradually handing over day-to-day leadership of the company to the second generation, the family engaged Shefsky as their family counselor to guide them through the process of making the arrangement more formal. The roles of the three second-generation members evolved from their interests and strengths. It felt natural for Michael to become president, for example. Although the second generation is not yet ready to hand over the reins, they are aware that the next transition poses a challenge. The business has grown so much that the third generation must be prepared to take over a much larger, more complex operation than the second generation inherited. Although conversations about an actual transition are just beginning, the family has started laying the groundwork. They have formalized some policies. Family members must get four years of work experience elsewhere before joining the business, for example. They have also started making sure all family members, including the third and fourth generations, have a clear sense of what the business is. This started with the Monopoly game at the annual family gathering but also includes hands-on exposure to the business. At one family gathering, an engineer gave the family a tour of a building’s boiler room. During the time the company owned the Hancock Building in Chicago, the family got a tour of the observatory, the roof and the crown of lights. “They have grown up knowing the business at a level they could relate to,” Paula says of the younger generations. Because their parents were heavily involved in the business, the third generation grew up with it. “I was here often enough to know that there’s a hidden mailbox behind this piece of artwork in the hallway,” Samantha says. “It used to be a real working mailbox, and you can drop a letter in it and it goes all the way down to the lobby.” Samantha and her cousin Alex both interned at the company. The family is working on creating a family council to help strengthen communication and bonds among all family members. It will be “a way to formalize what we have been doing as a family for a long time, meeting all together in person at least once a year to spend time with each other and discuss business-related topics,” Alex says. Another key to making the second-to-third-generation transition a success, Shefsky says, is to have the third generation find ways to expand the company, not just learn to run it as it is. The Golub family has already found ways to do this. “They have taken advantage of the skills that this G3 group has,” Shefsky says. Josh came to Golub with a background in finance and raising capital, and since joining the company he has worked to expand the firm’s capital-raising abilities, particularly with private investors. Laura has moved to Denver to help establish an office there in hopes of helping the company expand geographically. 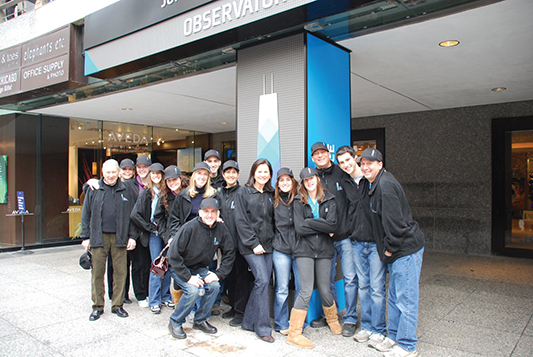 Real estate is a field that is closely tied to community, and Golub family members and employees are active and involved around Chicago. 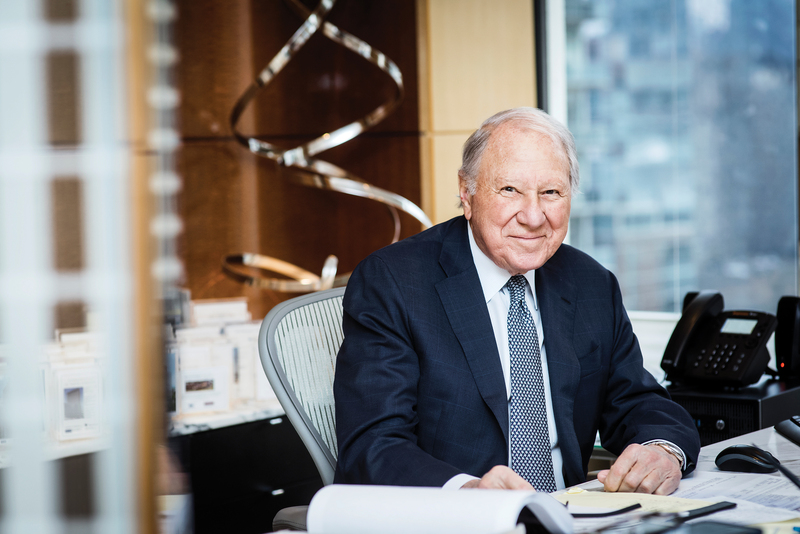 The Golub Family Foundation, founded in 2006 and led by family members both inside and outside the business, makes charitable contributions to health, education and cultural organizations. The company provides employees with paid time off to volunteer, in small groups, at local non-profits. Over the years Golub employees have collected and boxed more than 32,000 pounds of food for a local food bank and have helped distribute 24,000 books to 4,000 children with a local non-profit. The business also focuses on creating sustainable communities in other ways. The Golub Green Initiative is an approach to reducing the environmental impact of the company’s work. It includes a wide range of activities, such as installing energy-efficient lighting in the buildings it develops and encouraging its employees to serve on sustainability committees of industry groups. The third generation is cognizant of its ties to the company’s history. 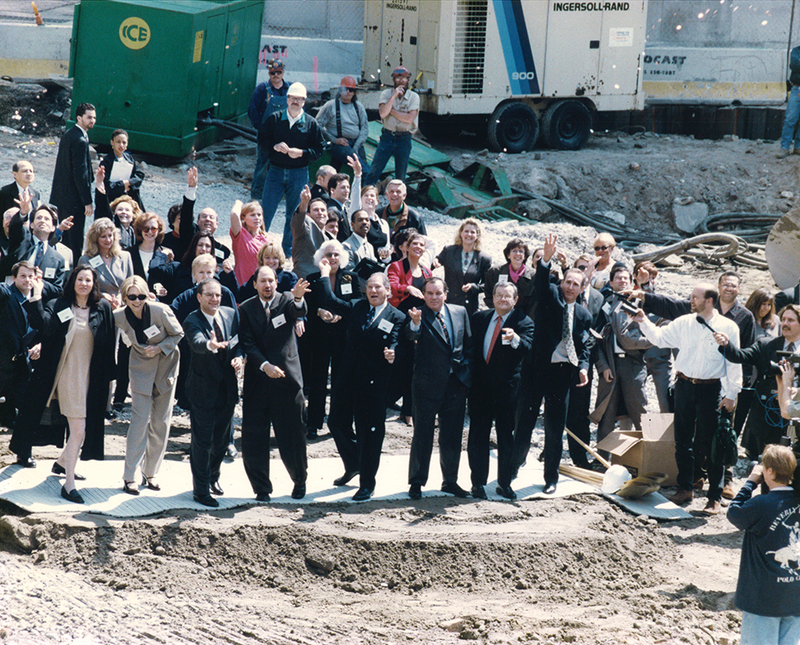 Many employees have been with the company for decades. “We have two women in our office who have been here for 37 years, and they remember my mom walking around pregnant with me,” says Samantha. With the past in mind, the third generation is already helping push the company in new directions.